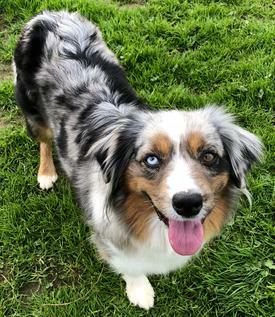 Blue Merle W/One Blue Eye and One Brown Eye. 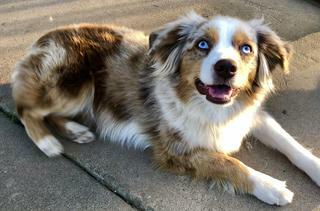 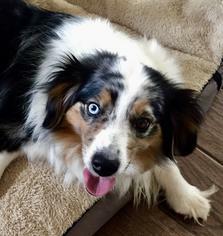 Blue Merle W/One Blue Eye & One Brown Eye. 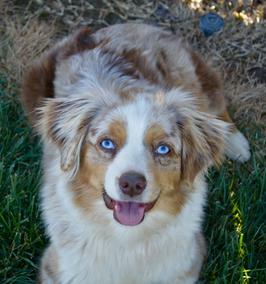 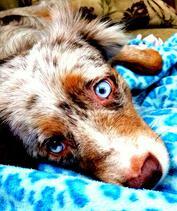 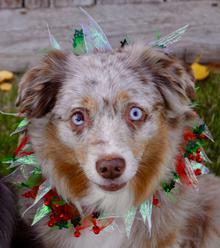 Red Merle W/One Blue Eye and One Marbled (Half Blue, Half Brown) Eye. 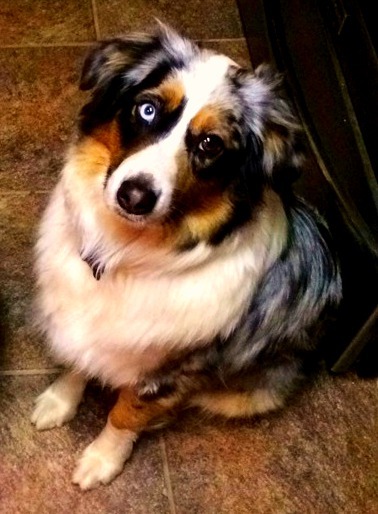 17 1/2" tall. 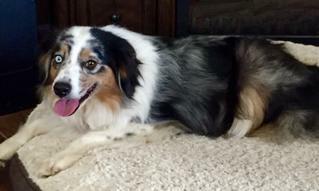 40 lbs. 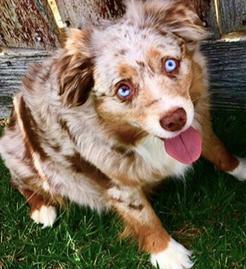 Red Merle W/Two Blue Eyes.